This modern display cabinet is designed by Randal Tysinger. 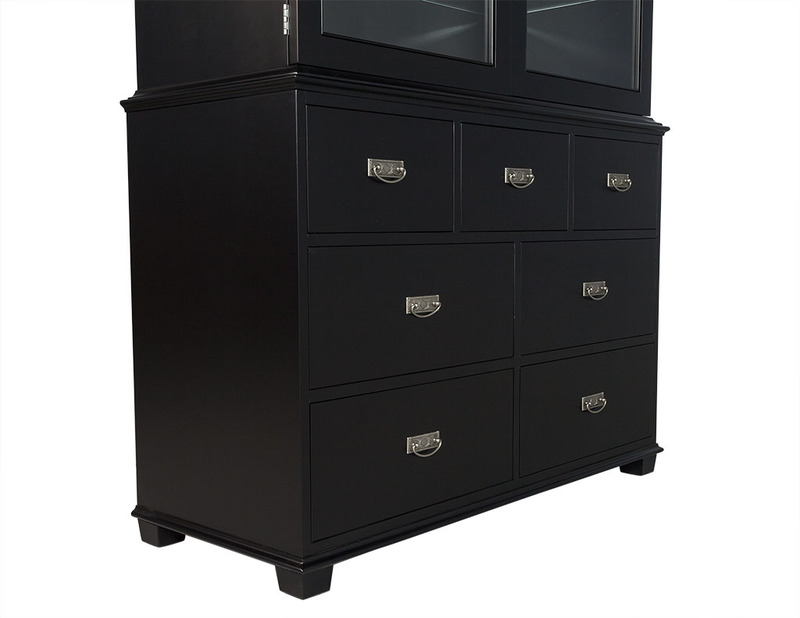 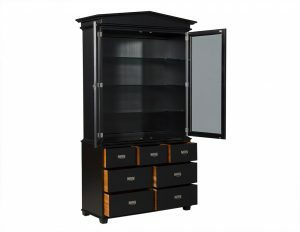 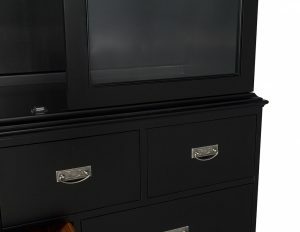 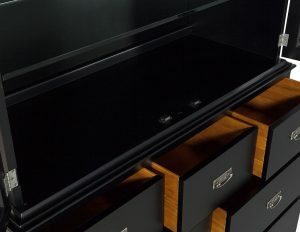 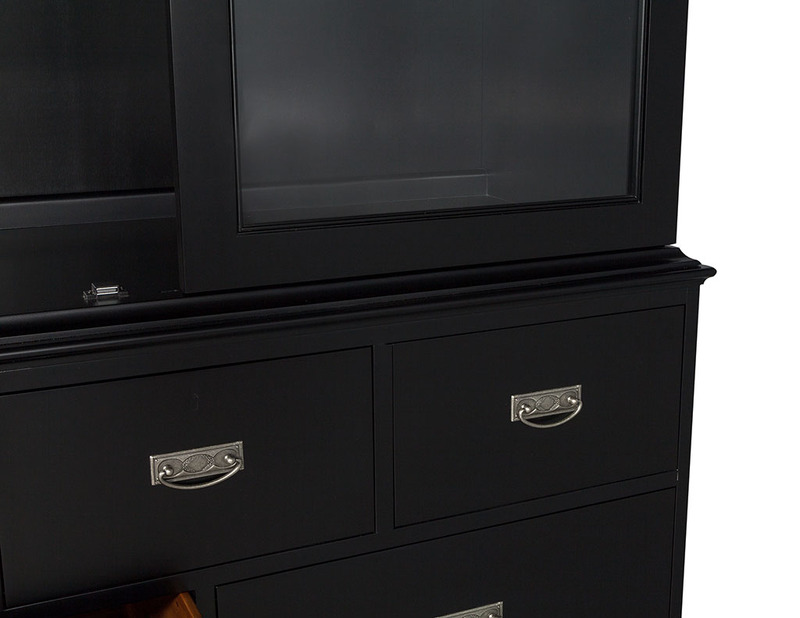 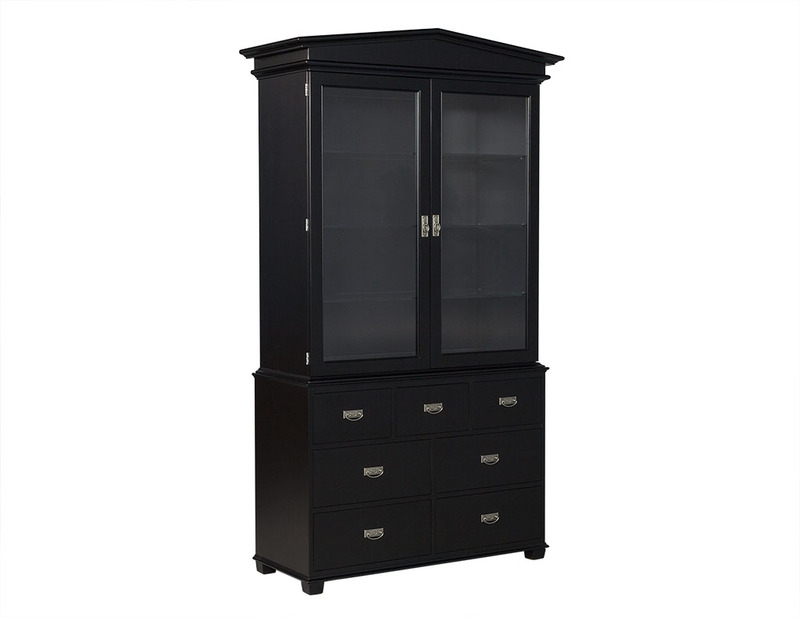 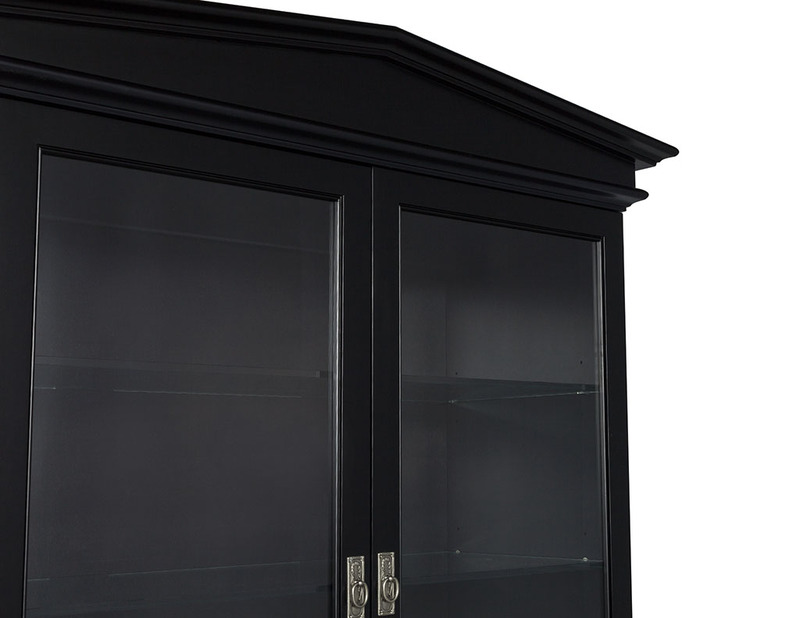 Composed of ebonized wood, the cabinet has a top section with two glass doors and three glass shelves inside with drawers in the bottom section, three on top and two rows of two drawers below. 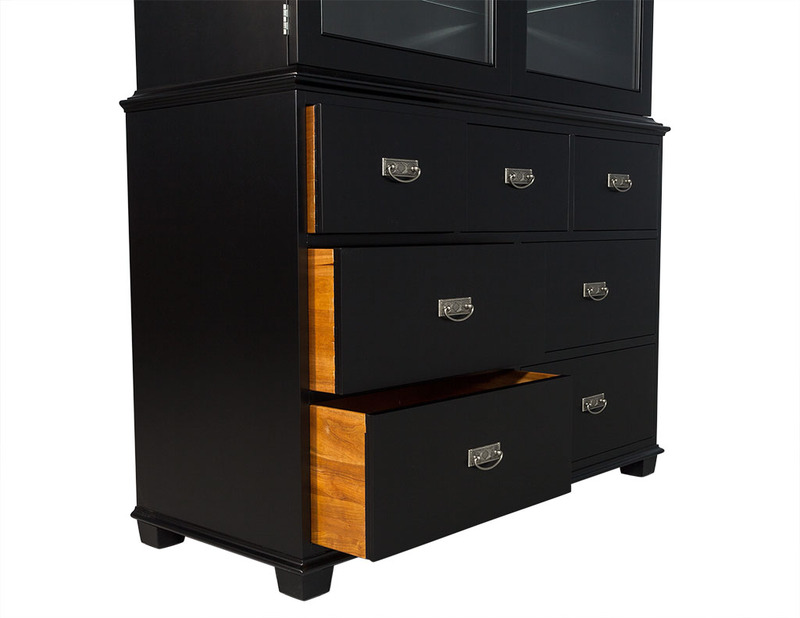 The pewter metal loop handle drawer pulls add just the right amount of embellishment, making this piece perfect for a sophisticated home.